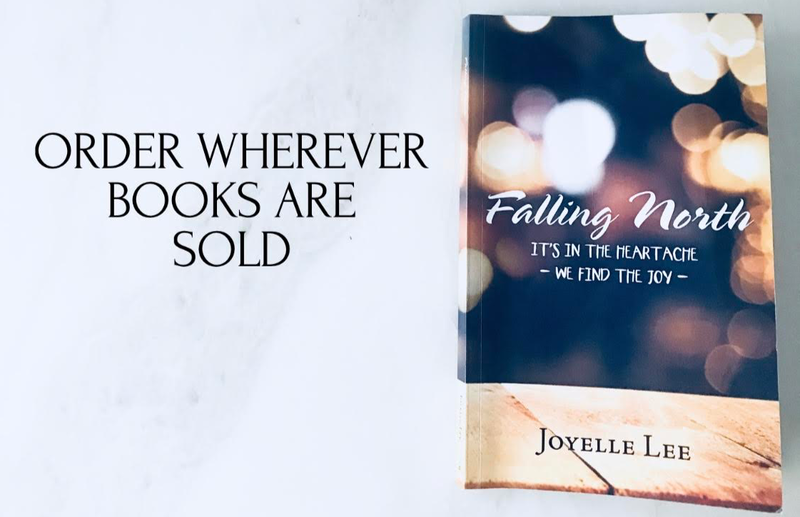 Studies are showing that if our inner shame can be spoken about and heart-level vulnerability can be exhibited, shame will melt in the face of transparent truth telling. Which is precisely why the #MeToo movement has become increasingly powerful and transformational and liberating amongst us women today. I stared down at these powerful words; words which I had doodled last Wednesday on my sacred yellow notepad. "MeToo-empathy" it said in my embarrassingly sloppy cursive black inked lettering. Yet beyond my faulty hand writing, these words spoke truth. They revealed hope. They communicated revelation. But most significantly, they exposed familiarity as my heart instinctively drifted to the tender eyes of Jesus weeping in John 11.35- weeping in response to the deeply grieving group of individuals heart broken over the death of their beloved Lazarus. And to Hebrews 2.18, speaking to that of Jesus' immense, unfathomable suffering He endured; enabling Him to help me during mine. And to Hebrews 4.15, sharing that God both understands and empathizes with my weakness, for He faced all the same testing I have. And to John 8.1-11, regarding a woman caught in the act of adultery. Brought before Jesus by judgmental stone holders, aggressively abusing her verbally and emotionally as they publicly displayed all her shame before every watching eye. Yet, Jesus looked into their condemning, judgmental, hate-filled eyes of the stone holders and said, "Let the one who has never sinned throw the first stone." And at that, Jesus began to doodle in dust where the woman sat. 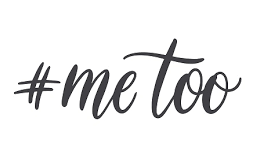 I can't help but wonder-- is it possible, could it be, just maybe what He doodled on that hot afternoon day in the dusty dirt beneath her shame-infested self was,"MeToo." ? I'm beginning to recognize that just possibly, there's something all together different between Jesus' MeToo and that of a human beings MeToo. And as much as Brene Brown's theory is completely accurate regarding the active and potent and powerful and healing agent of empathy amongst one friend to the next, I'm slowly recognizing, through both trial and error, that my own limited and faulty empathy for others will inevitably, assuredly and inescapably fail them at one point or another. And, quite possibly, vise versa. I'm left to wonder if placing the healing of my shame into another’s hand, solely, through their empathy; or to allow someone else to place their shame, solely, in my hands in order to heal, as suggested by Dr. Brown-- could be misplaced power &/or misplaced position, perhaps, in the ability of a limited, faulty, flawed, blemished human being, such as myself? What happens when the person responsible for sharing empathy with my shame, in order to heal it, is having a bad day? Or is having a life crisis? Or is selfish. Or absent. Or on vacation. Or exhausted. Or mentally tapped out. Or insensitive. Or, well, human, I've been asking myself. Am I forever hopelessly enslaved to my shame? enemy of our soul called shame? Thankfully, I can say with an unequivocal response--No. Because, on that same Wednesday afternoon, after doodling #MeToo-empathy on my yellow notebook paper, I heard Him whisper far in the secret place of my heart. A whisper proceeding a confession of an ache I was experiencing from an ended friendship. An exhaustion I was feeling from a difficult child. A weariness I was wearing of an overscheduled week. A sadness I was encountering of a plaguing illness in a loved one. A confusion I was enduring of an old violation. A shame I was sensing over a past failure. 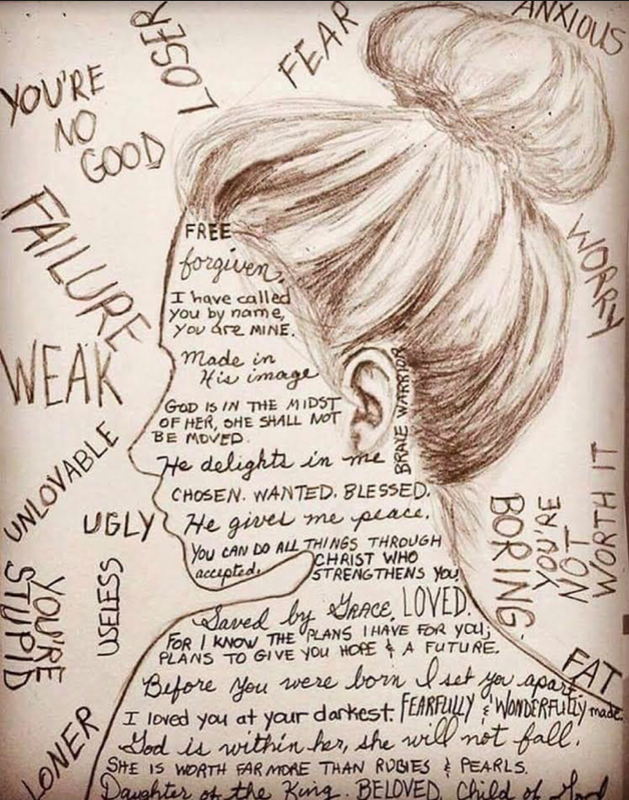 "Joy," He said to me, “When I listen to your heart whisper each morning, saying, “I love you, God,” you must know one important thing--I always speak in direct response to these four words, saying:"
Every day, every moment, Jesus is doodling in the presence of your enemy called shame. Doodling two words which authoritatively demand your shame accusers to slip away, one by one, until only Jesus is left in the middle of your heart, along side you, asking "Where are your accusers? Didn't even one of them condemn you?" "No, Lord" the adulterous woman responded" (John 8.9-11.) No, lord, I responded on that Wednesday afternoon. "Than neither do I," Jesus says. Because Jesus' MeToo, doodled in the dust of our dirt-stained shame, is the kind of empathy Brene is actively researching. The kind which heals, the kind which eradicates, the kind which brings us up out of the stone-holders circle of accusations with a new heart. A heart no longer littered with toxic shame but now stamped and sealed with two words. MeToo.